What can you promote through this service? 1. 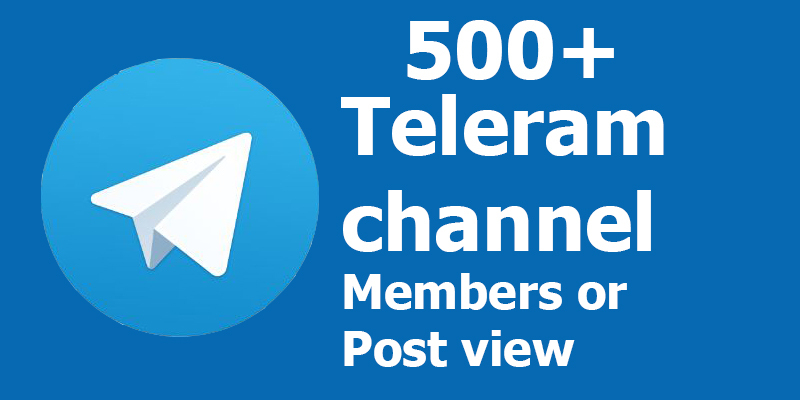 Telegram Channel Members high quality. 2. Process will be build up organically. 3. Members will stay on Constantly. 4. Improve the reach of your profile. 5. My Telegram Members don't doped life time granted. 6. Great quality and very cheap price on SEOclaks. 7. 100% Secure for your profile. 9. Works procedure 100% right way. I am a professional Social Media worker and I have more than 4 years of experience. I have already done 100+ Social Media worker in both global and local market. So I can help you Social Media any worker and develop your Social Media page! I think you have read the entire description. Even after more information so please Inbox me. Now think if you like my service so please order now. And also visit my extra service. Buy Real active 550+ Telegram Channel Members or Post vie.ws or 100+ Group Members is ranked 5 out of 5. Based on 6 user reviews.